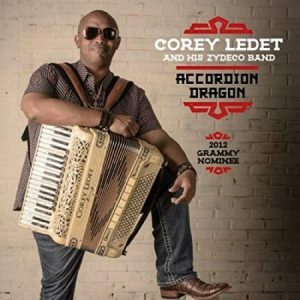 Corey Ledet ties in his love of the martial arts with his music christening himself as an Accordion Dragon, dragon being a positive term from Asian culture professing that you are a master of your art. On this his 10th CD, Corey and his chums present a solid program in the Zydeco tradition with Corey leading the way via his proficiency on the “squeeze box”. His cracker jack band provide the necessary oomph to prop up Corey’s playing and singing. As is the case in Zydeco as a rule lyrics assume a secondary position to the largely dance music. Although the band can slow down the pace with equal skill. Corey realized his dream of adding horns to his sound by including a two piece horn section on this endeavor. All songs are originals mainly by Corey except for collaboration on one song. The opening “Intro” has Breannah “Yannie” Richard reciting the virtues of a “Dragon”. A lion’s roar emulating a dragon leads into “J’ai Parti Dans La Campagne”, the only song here sung in French. Nothing like a zesty Zydeco dance number to get things going. Upbeat dance tunes are pretty much the bread and butter of a good Zydeco band and these guys surely know how to butter the bread, but I digress. “Dragon’s Boogie” is a moving and grooving instrumental, one of four on this disc. The horns bolster the lightning fast accordion runs of the master dragon. The slower instrumental “Erika Potier’s Waltz” features lovely accordion alongside the prominent melodic bass playing of Axel. Aside from mainly “I’m Going To Mom Sue to dance the boogaloo”, “Mom Sue” is an instrumental romp until the “Party people in the house” yadda, yadda, yadda shtick near song’s end. The peppy dance floor tune “I Never Meant To Fall In Love” includes “Yannie” on vocals along with Corey. Pretty infectious stuff this song. 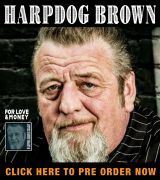 “Muscle Zydeco” is an accordion-drum workout. Corey goes it alone with his trusty accordion on the bluesy instrumental “Dragon’s Blues”. We have a winna! The guys go out in grand zydeco style on “Push And Pull” a song about his desire to push and pull his “squeeze box” all night long. It’s essentially a excuse for the band to strut their stuff. A rare occasional for Julian Primeaux to execute a skittering guitar solo of sorts as opposed to his usual rhythm guitar duties. 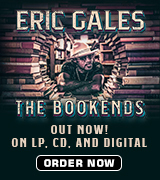 Their ya have it folks, a guaranteed good time zydeco party. Yeah you right!